One hundred years ago this month, facing defeat and pressure from the Allied powers than won WW I, the Ottomans began attributing blame for the massacre of its Armenian and Greek citizens. 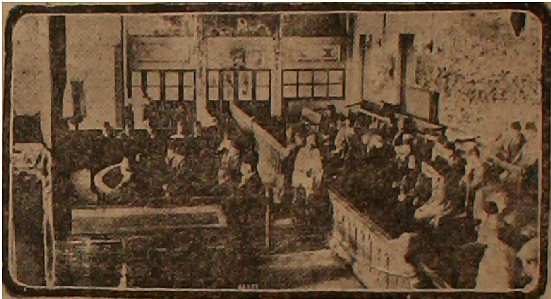 Putting the Three Pashas (Talat, Enver & Djemal) on trial with other leaders of the Committee of Union and Progress, the Turkish Military Tribunals found the defendants guilty and sentenced to death. However, , the Pashas were able to flee Turkey and escape punishment (for some time, at least). The allies, frustrated by the perceived ineffectualness of the Turkish courts, in turn established the Malta Court to prosecute war criminals. By 1922, though, the Turkish defendants were repatriated to Turkey, largely due to the absence of a legal framework for prosecution. 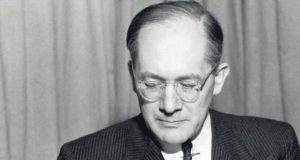 The lack of justice from the international community would spur a young Raphael Lemkin toward a lifelong goal of pursuing legal safeguards to prevent massacres like those of the Armenians from reoccurring. In a 1949 broadcast interview, Lemkin said “As a lawyer, I thought that a crime should not be punished by the victims, but should be punished by a court, by international law,” He first coined the term ‘genocide’ in 1944 in his book Axis Rule in Occupied Europe. That framework would be used to help prosecute Nazi war criminals at the Nuremberg Tribunal . In 1948, Lemkin had largely fulfilled his goal when the United Nations adopted the Convention on the Prevention and Punishment of the Crime of Genocide, the document enshrining much of the jurisprudence he had seen lacking more than two decades before. On December 9th last year, the Genocide Convention marked its 70th anniversary. Although the Genocide Convention was passed in 1948, it would not be until 1998 when it was used in force by an international tribunal when Jean-Paul Akayesu was convicted for genocide and crimes against humanity for crimes committed in Taba, Rwanda where Akayesu was mayor. Since then, the Genocide Convention has been used by courts around the world to prosecute perpetrators of mass violence, including international courts and tribunals established in Rwanda, the former Yugoslavia and Cambodia. Courts elsewhere have convicted individuals, either using universal jurisdiction (as with the trial of Adolfo Scilingo, who was convicted in 2005 by Spanish Courts for crimes against humanity for his role in Argentina’s State terror against political dissidents in the 1970s. A charge of genocide was eventually dropped) or by a state addressing crimes (as with the 2001 conviction of Petras Raslanas by a Latvian court for his role in a 1941 massacre while a member of the NKVD). While courts continue to prosecute genocide and test its legal boundaries, scholars have continually explored definitions beyond the one inscribed in the UNGC, for instance including terms such as politicide or feminicide . They have also studied ways to predict and thus prevent genocide. In 1996, Gregory Stanton published his landmark work “The Eight Stages of Genocide” which charted the gradual steps towards genocide. Since then, several agencies, including the US Holocaust Memorial Museum and Aegis Trust, have invested countless resources in predicting genocide around the globe. Today, scholars are looking towards Lemkin’s more expansive definition of genocide to better understand crimes of the past, and provide a better framework for understanding events unfolding today. The massive devastation of sites around Iraq and Syria at the hands of ISIS recently have provided a sobering reminder of Lemkin’s description of a crime that robs the affected communities, and humanity, as whole of cultural treasures, and adds an incentive for bridging the divide between academic study of genocide and its legal definition. Seventy years since it’s adoption, the Genocide Convention remains a testament to the perseverance of one man’s vision for the protection of the physical and cultural integrity of the group under international law. Lemkin’s concept and the law that followed has been used by victims around the world to call attention to the crimes and trauma experienced by countless communities. Far from set in stone, our idea of genocide will likely continue to evolve to meet contemporary challenges. Joe Eggers is the Research and Outreach Coordinator for the Center for Holocaust & Genocide Studies. His master’s thesis explore differences between Lemkin’s original concept of genocide and the one found in the Genocide Convention.